Day One: Flight to Palma. On arrival, you will be met at the airport and transferred to your hotel, the Bella Playa, for seven nights half-board accommodation. Transfer time one hour. 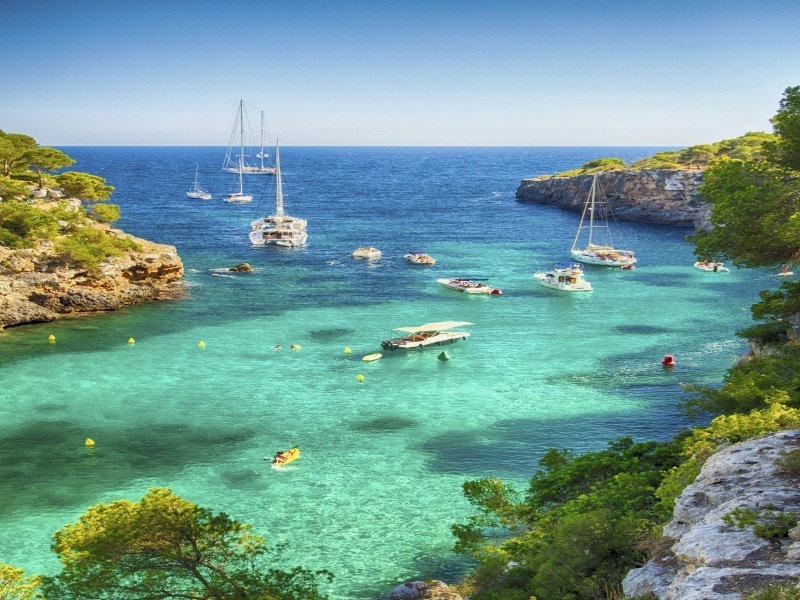 Cala Ratjada is an old fishing port on the north-east coast of the island which has developed into a pleasant resort with a busy harbour, craggy coves and pretty beaches. As well as a host of shops, cafes, bars and restaurants, Cala Ratjada has attractive natural areas right on its doorstep. A variety of bird species thrives in the protected area of Cala Agulla beach close to your hotel. While a pleasant walk through the pine forest will take you to the lighthouse at Capdepera from where, on a clear day, you can see across to the neighbouring island of Menorca. Days Two to Seven: In Cala Ratjada with three included activities during your stay. Walking Tour of Sa Torre Cega: A twenty-minute walk from your hotel is Sa Torre Cega, an early 20th-century villa built for the March banking family. In an ideal spot overlooking the tiny bay of Cala Gat, the gardens at Sa Torre Cega were landscaped by Russell Page, the English designer whose clients included the Duke of Windsor, King Leopold of Belgium, and the Frick Art Collection in New York. And art is an integral feature of the Sa Torre Cega gardens where you will see forty sculptures of the March collection. The gardens were closed after being severely damaged in a storm in 2001, and, after extensive restoration, were reopened by King Juan Carlos in 2015. Palma: On a day trip to Palma fifty miles away, you’ll have plenty of time to explore the delights of the island’s capital. A short orientation tour on arrival will show you where things are, after which you can choose how you will spend your free time. Many will make a beeline to the ultra-impressive Gothic Cathedral. Dating from the 13th century, the building has been modified through the ages right up to the changes made in the early 1900’s by Antoni Gaudi. Or you could make your way to the Palau March Museum which houses the rest of the March sculpture collection including works by Rodin, Henry Moore and Barbara Hepworth. Don’t forget to leave time for a delicious tapas lunch in the narrow streets of the old centre. Drach Caves: A short 18-mile trip to the famous caves where you have a tour of the deep caves including the blue waters of the Baths of Diana, incredible stalactites and stalagmites, and a boat trip and classical concert on one the world’s largest underground lakes. In your spare time you can enjoy the facilities of the hotel, or maybe hire a bike and visit the market town of Arta. Extend your holiday – Extra week available in Mallorca. Please note: there is a local tourist tax in Mallorca and Menorca of 1.65 euros per person per day. It is not included in the price of the holiday and will be payable by hotel guests directly to the hotel.